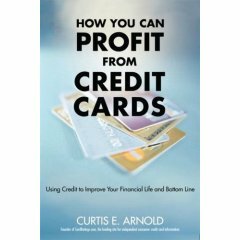 Curtis Arnold, founder of Cardratings.com, passes along techniques he has used to escape credit card debt, "creatively finance" his wedding, car, and home purchases, and earn thousands in credit card "perks" every year. Along the way, he offers advice targeted to young consumers who are being aggressively targeted by credit card marketers; retirees facing credit discrimination; Americans recovering from bankruptcy or other debt problems; and even consumers with great credit who want to keep it that way. Take an interest-free loan for 12 months for any type of purchase just by completing a credit card balance transfer offer. Get a free round-trip airline ticket twice a year just for making purchases on a rebate card. Lower your insurance premiums by hundreds of dollars a year by raising your credit score. According to Arnold, consumers can play ball with banks that maximize their profits by "nickel and dimeing" and outsmarting cardholders. This is because these banks continue to entice consumers with rebates, freebies, low-introductory rate offers, and airline miles. Curtis outlines how to take advantage of the offers, without paying for them through brutally high interest rates, fees and penalties.